A Tunisian Novelist Started his Life as a Football Player before Excelling as a Novelist. Published in Issue 28 of The Ofi Press. Eleuch.. From the Football Field to the World of the Novel. In the football stadiums of the Tunisian city of Sfax a fortysomething man inspects the safety of the goal nets everyday and like a dabke dancer he powerfully probes the ground of the field, all ready to throw himself on a sudden ball. He jogs a bit toward the six-meter zone and the penalty kick zone. He perfectly ties his gloves to his wrists. He bends his back a bit while he is opening his hands in front of the probable throw. Abdeljabbar Eleuch was as such before taking the road of literature and novel. Tunisian novelist Abdeljabbar Eleuch grew in the grass of football fields and the fury of its spaces to provide Tunisian narration with “strong throws” that discomposed the achievement of the “scions” of the great Tunisian novelist Mahmoud Messadi and his seekers. Eleuch’s texts make their reader gasp, running after the fleeting tales in a nimble way that is similar to the nimbleness of “Attouga” , the most famous goalkeeper ever of the Tunisian team, reminding that writing could grow in the racetrack as is the case with Haruki Murakami or in the goal nets as is the case with Albert Camus or in baseball fields as is the case with Paul Auster, Kerouac, and Mark Harris or could be explosive like a forgotten landmine in a wild forest or as is the case with Ernest Hemingway who came from hunters and fishermen or as is the case with Samuel Beckett who trundled from the chessboard toppling the king and the horse. Similar to these tense literary “sinews,” sinews of a Tunisian writer by the name of Abdeljabbar Eleuch grow. He plunged into creative writing with a poetry collection titled Gollanar (Blossom of Pomegranate) and a CD in his voice. Those works received a remarkable success before he surprised the Tunisian creative scene in 2001 with a dangerous novelistic text titled Chronicles of the Strange City with which, at that time, he backed the judges of the Comar Prize into a corner when his novel was awarded the Golden Comar Prize. So detectives and cultural political police became furious in their attempt to take back the prize for the reason that the novel had not a legal deposit and it did not pass through the Tunisian censorship of books. At that time he was supported by some honest writers and journalists, so the prize remained his own. He followed this novel with two novels titled respectively Afrikistan and A Trial of a Dog. Thus, he proved that he is one of the new novelistic names that are able to change the Tunisian novelistic scene which has remained for years suffering from draught, calcification, and regurgitation of classical novelistic patterns. Since his first novel, Abdeljabbar Eleuch has made us enter the world of the unreasonable to approach in a novelistic way the reality of Tunisian society through a strange event that found expression in the inability of one of the clients of the city café to lift his body from the chair then the contagion spread to the rest of the city inhabitants as is the case in José Saramago’s Blindness. The country falls into a total paralysis. Besides, a state of meaninglessness pervades, which its signs are disgust everywhere, fear about the intimate in our lives, and doubt of everything. It is an artistic approach to the Tunisian people who were unable to change their lame political status quo in the late eighties and the beginning of the nineties. If Eleuch contextualised his first novel in the Tunisian space through breaking into the backstreets of Tunisia and revealing the true face that is concealed by the news, the tourist brochures and postcards that the authority spreads, he moves with the words of the mysterious into the heart of Africa in his novel Afrikistan to approach its most complicated social and political issues which are dictatorship and food security. He infiltrated the most secret places he observed through a foreign journalist that fate wanted him to enjoy an extraordinary power that lets him see what is not seen. He arrives at the bedchamber of the Big Man and reveals the causes of the misery of Africa and what makes its people stand waiting in a long queue for an escape to Europe. Eleuch makes this mysterious queue a space for his novel in which its visionary characters are searching for a new utopia and a virgin land that has room for their little dreams of life and peace. In his third novel A Trial of a Dog Eleuch turns to his autobiography to break into what Serge Doubrovsky called “autofiction” revealing as the first Arab writer, to my knowledge, after the Moroccan Mohamed Choukri, the secrets of his childhood, the dangers to which he was subject, and his story as a late discovery adoptee. All that flows in a mysterious style that reminds us of the nightmarishness of Colin Wilson and Franz Kafka making his protagonist oscillate between humanity and animality; a rabietic being who is tried because of many accusations such as reasons of his existence in this world with a sum total of marginalised people who form a forgotten world in the Tunisian land outside the context of what the center gives as an identity to this people who is put on the periphery with their dreams and pains. Writing, for Abdeljabbar Eleuch, takes the path of experimentation and cuts with traditional writing and the linear narration of events so that arts and absent texts either old or modern correlate in his novels to form a modern text that introduces its peculiarity as a learned and investigatory writing. But the peculiarity of Eleuch’s writing and his experimentation do not make the text fall into ambiguity, and those knowledges do not represent a dilemma when it comes to the operation of reception because he was able to melt all those historical, literary, artistic, and political knowledges into fiction. Thus, the textual texture proceeds drawing a coherent plot, preserving suspense as a strategy and a rigid contract between the writer and the reader, and being faithful to its bet on depicting the reality of the wounded man at the individual, national, regional, and international levels. Eleuch’s novels are receiving mass success in Tunisia and they are trying their hardest to travel to the other side of the Mediterranean Sea through being translated into the language of Moliére. 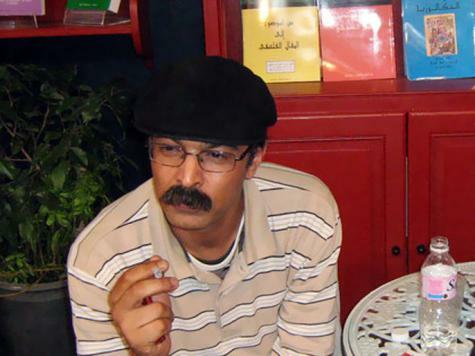 Translator and researcher Hédi Khelil took the initiative in translating his novel A Trial of a Dog into French and it was published by The National Translation Center. His life and literary experience still tempts stage directors and filmmakers. For instance, Italy-based Tunisian filmmaker Adel Bakri approached it through a documentary that is inspired from his poetry collection Gollanar. Similar to these new realms into which the Tunisian novel has broken since the beginning of the third millennium, writings of Kamel Zoghbani, author of the novel Waiting for Life, and other new voices herald a different Tunisian novelistic horizon that resolved the difficult equation between mass success and artistic quality. Thus, these voices gained the respect of cultural scenes either inside or abroad. This article appeared in aljazeera.net 06/07/2012 by Kamel Riahi.